The injuries Jack Blankenship sustained after a 300-pound rock pinned him to the ground while working in a coal mine prevent him from sitting for long periods of time or walking far. He says he's in constant pain. 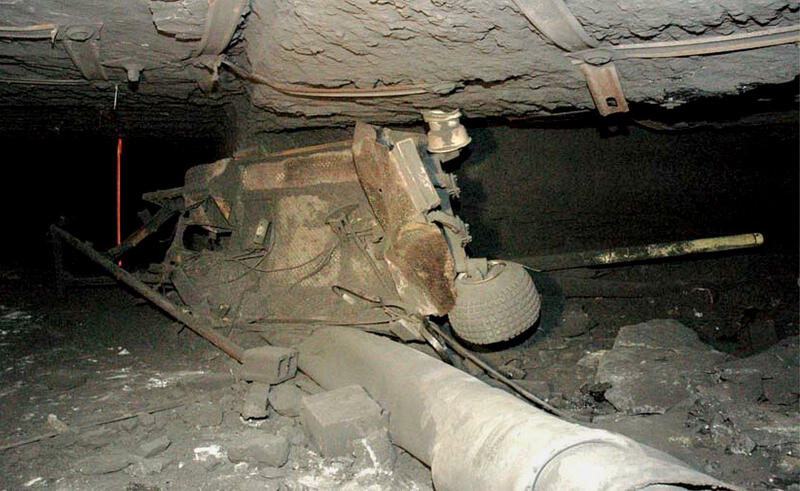 A personnel carrier that once carried miners underground at the Kentucky Darby mine was left crushed and twisted by a 2006 explosion, which left five workers dead. 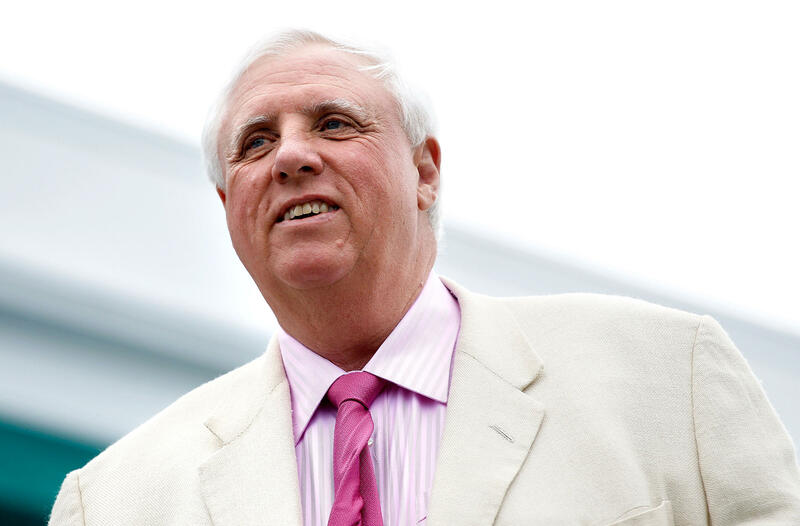 Jim Justice, a billionaire from West Virginia, owns Southern Coal Corp., which has 71 mines that have racked up thousands of violations and millions of dollars in fines. Police direct traffic at Massey Energy's Upper Big Branch coal mine in Montcoal, W.Va., after an explosion there killed 29 men in April 2010. Upper Big Branch had delinquent mine safety penalties at the time of the explosion. When mines violate safety standards, federal regulators issue citations and fines. The idea is to discourage unsafe practices by making them expensive. Well, a joint investigation by NPR and Mine Safety and Health News finds part of that system isn't working. As NPR's Howard Berkes reports, thousands of miners are still put at risk of serious injury and even death. HOWARD BERKES, BYLINE: Mary Middleton was 31 when she became a coal miner's widow. 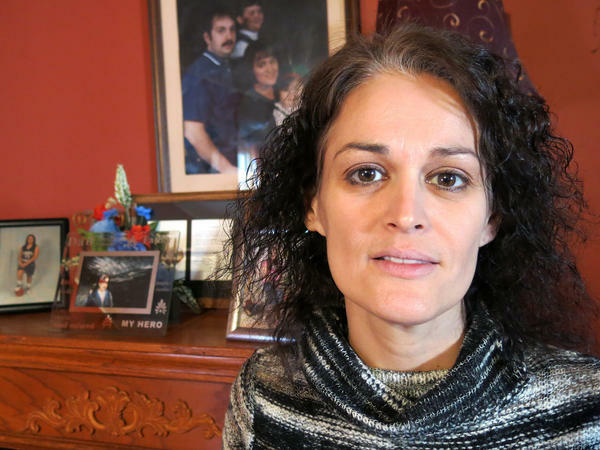 Eight years later she's still frustrated with a regulatory system that failed to protect her husband and four others who died at the Kentucky Darby mine. A federal accident report blames serious safety hazards, fines topped half a million dollars, but federal regulators didn't make the mining company pay. MARY MIDDLETON: Gosh, it's like - just like they died in vain, you know? Like, their life, it didn't matter, you know? I'm thinking you get a speeding ticket or something and don't pay it and they'll want to put you in jail. But this man - it's people's lives and injuries and then they just keep letting them keep doing it and doing it. I just - I can't understand it, you know? BERKES: The co-owner of the mine also controlled eight other mines. 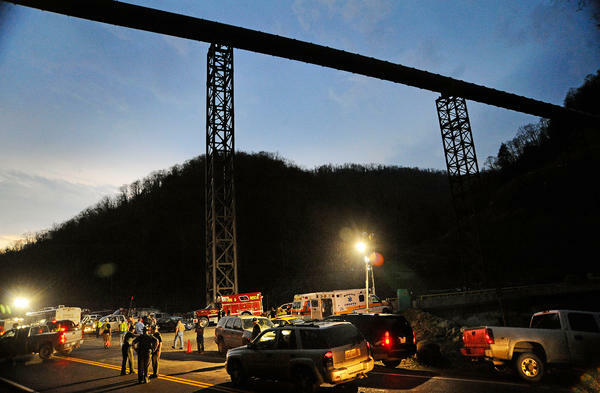 Federal mine safety records show even after he and his partners failed to pay the fines for the deaths at Kentucky Darby the other mines were cited for 1,300 more violations, according to Labor Department data. New fines totaled $2.4 million, which also went unpaid. M. MIDDLETON: Where's the breaking point, you know? I mean, I know the Bible says vengeance is God's. He will repay. But you think why are they not being punished? BERKES: They have plenty of company according to multiple sets of federal data and records analyzed by NPR. We obtained the Mine Safety and Health Administration's detailed accounting of mines with overdue safety fines. We then compared those records to 20 years of Labor Department data showing mine injuries and violations. And here's what we found - 2,700 mine owners owe nearly $70 million in delinquent safety fines. Most are years overdue, some go back decades. And get this - those mines with delinquent fines, they're more dangerous than the mines that do pay with an average injury rate 50 percent higher. Middleton remembers how her family was affected by playing this old Christmas home video with a singing Elvis soundtrack. ELVIS PRESLEY: (Singing) Santa, bring my baby back to me. Santa bring my baby back to me. BERKES: This was almost nine years ago, the last time the Middleton family was whole at the holidays. Elvis blasted from the stereo, Mary baked cookies in the kitchen, daughters Natalie and Danielle danced in jammies at the Christmas tree. Danielle was 13 then and she remembers her dad, Roy, behind the camera as happy as ever. DANIELLE MIDDLETON: And I know he always worked especially hard, overtime hours and things, to make sure that we had will be wanted under the tree. BERKES: Danielle also has this indelible memory - embracing her dad when he arrived home from work from the mine. D. MIDDLETON: There was not an inch of white beneath all the coal dust. His hands permanently stained from the coal dust and I can remember just always the sent on his clothes while hugging him. You know, it's just simple things you never think you would miss, but the smell of coal is one of them. UNIDENTIFIED MAN: Mountain News, Weekend Edition, starts now. BERKES: WYMT had the news on May 20, 2006, the day Roy Middleton didn't come home. UNIDENTIFIED WOMAN: We begin tonight with what is believed to be the deadliest mining accident in Eastern Kentucky in more than two decades. Five coal miners are dead after an explosion in Harlan County. BERKES: And yet again, reporters and TV crews, including CNN, flocked to a coalfield in crisis. UNIDENTIFIED MAN: It did happen again. This weekend, two miners were killed in a blast. Three more died of carbon monoxide poisoning after the blast. And their accusation's now that all of it could've been prevented. M. MIDDLETON: It was so dark in there and it was so smelly and so smoky and imagine them trying to breathe, not knowing what to do, where to go. I just - it would just torment me, you know, in my mind thinking what they went through. BERKES: The Kentucky Darby mine never reopened given the damage. But one of the mine's co-owners continued to operate those eight other mines. Those mines reported 20 more injuries, according to Mine Safety data. And they now owe nearly $3 million in fines for hundreds of violations. They've even defied a federal court order to pay. Just think about that - ignore parking tickets and they'll boot your car. Ignore tax bills and you could lose your paycheck, your house and your freedom. But there's little to fear from ignoring the fines that are supposed to keep mine workers safe. DAVITT MCATEER: To the scofflaws - to the people who continue to run an operation that puts people at risk on a daily basis, this is a bonanza. 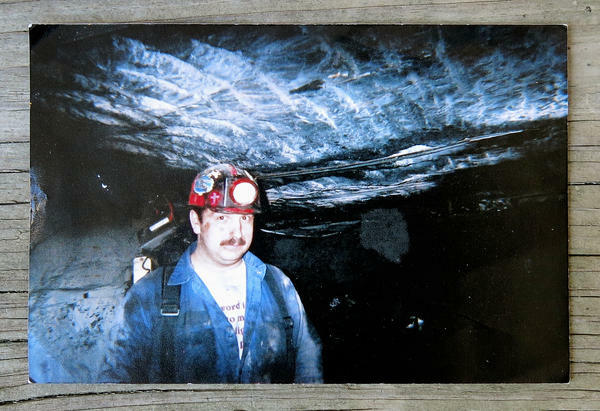 BERKES: Davitt McAteer was the federal Mine Safety chief in the 1990s. He later became a prominent mine safety advocate and led independent investigations of three recent coal mine disasters. Even he was shocked by our findings. We counted 4,000 injuries and 130,000 violations at mines while they were delinquent. MCATEER: This is to them I can beat this system. And absolutely this is the kind of attitude that leads to mine disasters. BERKES: These are the kinds of violations that put miners in danger, according to federal inspectors. They concluded in their citations that 40,000 violations were likely to cause serious injury or illness if uncorrected. MCATEER: These categories suggest that there is a direct correlation between injuries and violations. That's why you put money on it to try to connect those two things together. BERKES: And make violations expensive. Every violation must be corrected, but McAteer notes that mine conditions change, every shift threats reappear. A fixed problem may not stay fixed for long. We also found that most mining companies do pay their fines, often after challenges and appeals, but when the fines are final most pay on time. Congressman George Miller of California is the ranking Democrat on the House Labor Committee. CONGRESSMAN GEORGE MILLER: There are many, many mine owners that operate everyday within the law. If they are fined they pay their fines. They make the improvements in the mine and they move on. These are a group of people who have chosen not to do that. They are essentially outlaw minors. BERKES: Seven percent of mine owners haven't paid their fines, according to our analysis. Most of the top delinquents did not respond to our request for comment. We'll have a story later this week on a notable exception - a prominent billionaire with one of the biggest debts. We also went to the National Mining Association, the industry lobbying group. It declined interview requests, but said in a written statement that all truly delinquent fines should be paid. This is not an industry issue, the group added, it's a government issue - well, the government's top mine safety regulator, Assistant Secretary of Labor Joe Main. JOE MAIN: I don't want folks who hear this to think that this is an agency that doesn't care about mine operators paying a fine. That is absolutely not true. But we have to place our priorities where they are most impacting and it's going to be protecting that miner that's out there at risk today. BERKES: Many delinquent mines eventually close, Main says, due to market conditions or tough enforcement. So regulators focus more on troubled mines, delinquent or not, that are still operating. That includes unannounced blitz inspections. More than 300 of those - nearly 40 percent of the total - have targeted delinquent mines. Repeat violators get even more scrutiny and harsher sanctions. Main says he's doing what he can with the authority he has. MAIN: You can't just shut down a mine because you don't like them or because they have an injury. You have to have the fact of law behind you. BERKES: You don't have the authority to shut a mine down simply because it's not paying its penalties? MAIN: I think that's a matter of law. We have no silver bullet. I mean, we don't have the authority to go in and just to shut down a mine because of X.
BERKES: Even if a mine is delinquent it can continue to operate. And Labor Department data shows that delinquent mines continue to violate the law and put miners at risk over and over again, sometimes for years. Now, the Mine Safety Agency does close mines temporarily for dangerous conditions. But once those are fixed the mine reopens. That happened two years ago at one of the mines operated by some of the owners of Kentucky Darby. It reopened in six days according to federal records. The fines that resulted were never paid and violations continued. TONY OPPEGARD: When you don't pay your fines there's a breakdown in the system and there's no accountability. BERKES: Tony Oppegard is a former state and federal mine safety regulator and an attorney who represents miners and their families. He represented Mary Middleton during the Kentucky Darby investigation. OPPEGARD: If I don't have to pay a fine what incentive do I have to provide a safe work place? I'm going to do it as cheaply as I can. I'm going to cut as many corners as I can to make as much money as possible. BERKES: State and federal records list Ralph Napier, Sr., as Kentucky Darby's co-owner and legally responsible corporate official. MILLER: These are not onerous fines on the operation of the mine. If the mine is open the mine's making a profit. So clean up the mine, make it safe and pay your fine and continue doing your business. BERKES: This two years ago, Miller demanded an explanation and a payment plan from Napier and his partners. Their attorney wrote that they didn't have the ability to pay. The spent their money, he said, on salaries, benefits, operating costs and mine safety. All this baffles Tracy Stumbo, who spent 17 years as Kentucky's chief mine accident investigator. 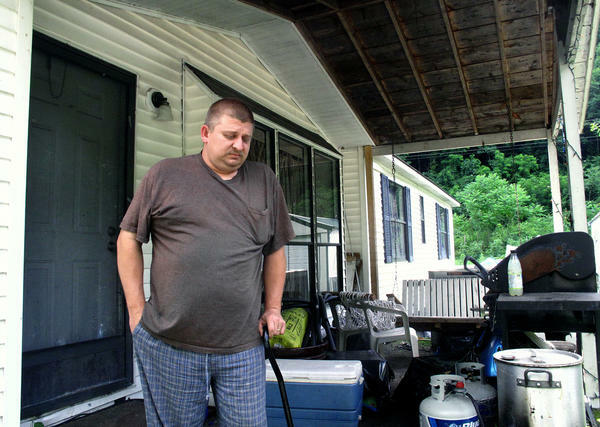 TRACY STUMBO: To me it's almost unbelievable that you could have a horrendous accident such as Kentucky Darby, an explosion that would kill five people, and still the company would be able to still mine coal in the state of Kentucky and not pay their fines. That's almost unbelievable to me. And, you know, it's pretty hard to explain to the families why this continues to go on. BERKES: Stumbo investigated the Kentucky Darby disaster and briefed Widow Mary Middleton. M. MIDDLETON: People would say to me well, Mary, accidents can happen. You can just be walking in the yard and, you know, fall over dead or get hurt, which, I mean, you know, I know that's true, but you'd think if someone's got it in their power to help make things safer, you know, maybe save a life, you know, that's what they should be doing. BERKES: Eighteen miles from the Middleton home, thin curtains of water cascade off a coal-colored cliff. Mounds of brush covered dirt hide what were once the entrances to the Kentucky Darby mine. It seems unlikely that coal will ever come out of this mountain again, but Ralph Napier and his son have registered another mining company with the state of Kentucky. It's not clear whether they'll actually mine coal there. Ralph Napier, Jr., declined to talk about it. Still, they'll be able to open another mine if they want to, despite the deadly disaster here and close to $3 million now in delinquent safety fines owed by the other mines. 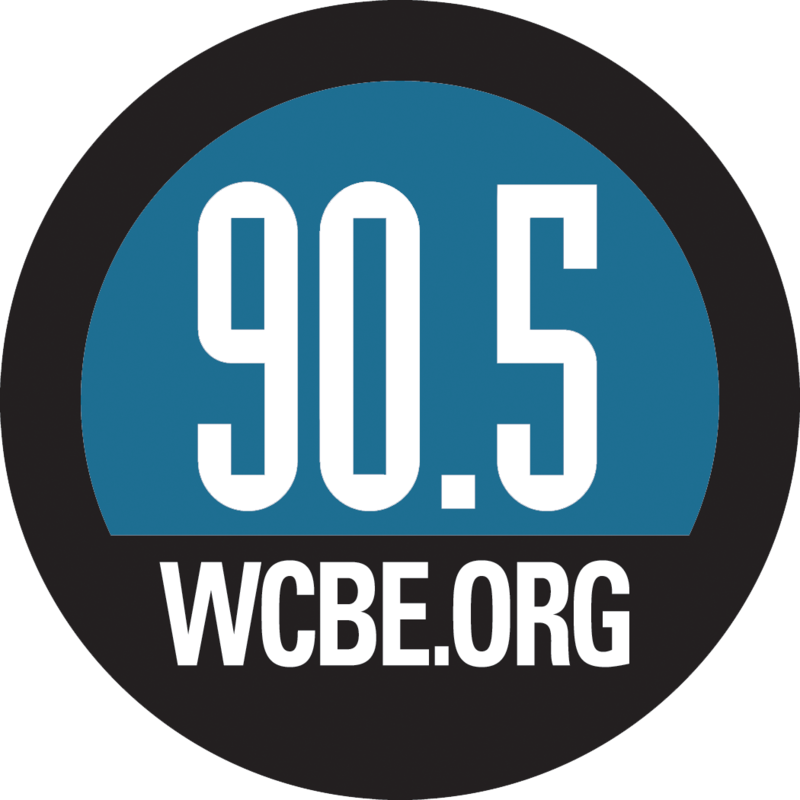 Howard Berkes, NPR News. SIEGEL: Our series continues tomorrow on MORNING EDITION. We'll hear what federal regulators can and cannot do and will and will not do to force delinquent mine owners to pay their fines. There's a detailed analysis of our findings at npr.org. Transcript provided by NPR, Copyright NPR.